Shipping to Canada is a pain, eh? But wait! Canadians are rich. And they’re getting richer. We’re also talking about a country where 88.5% of the population has Internet access - which equates to 31 million potential online consumers. Yet, some online sellers don’t even offer the option to ship to Canada. This is a big mistake, as business is all about overcoming hurdles and entering the Canadian market will set you apart from other competitors. All you need is to be prepared and acknowledge that shipping from the US (or anywhere) to Canada means dealing with a new set of rules. Fulfilling orders to the Great White North can be a challenge because of how much it is for shipping to Canada, in addition to logistics. How much is shipping to Canada from the US, and why does it cost so much? For starters, Canada's complex import duty tax is different from the US. A low de minimis system means any item valued over $20CAD gets hit with import duty and tax. In addition to this cost, most express couriers charge handling fees and surcharges. Basically, postage to Canada can get expensive really fast, making it cost extra to ship there. On the other hand, postage to Canada can also take longer and not be very efficient. Canada is a huge country (2nd largest in the world just after Russia) and Canadians live pretty far from each other. Tracking is not very accurate and delivery dates are long. 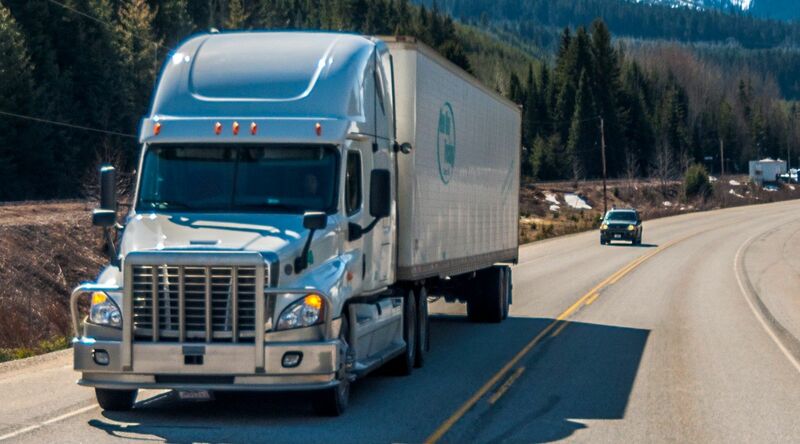 Add in the unavoidable Canadian customs which may delay your shipments even further, and it looks as if you're setting yourself up for the perfect storm of unsatisfied customers. In the age of instant gratification and 24-hour delivery, you can understand why buying from an eCommerce store can be very frustrating for Canadians. The above graph from BCG sums up the situation perfectly. Canadians are online and have the money to spend, but because of all these hurdles they’re just more hesitant to order more. 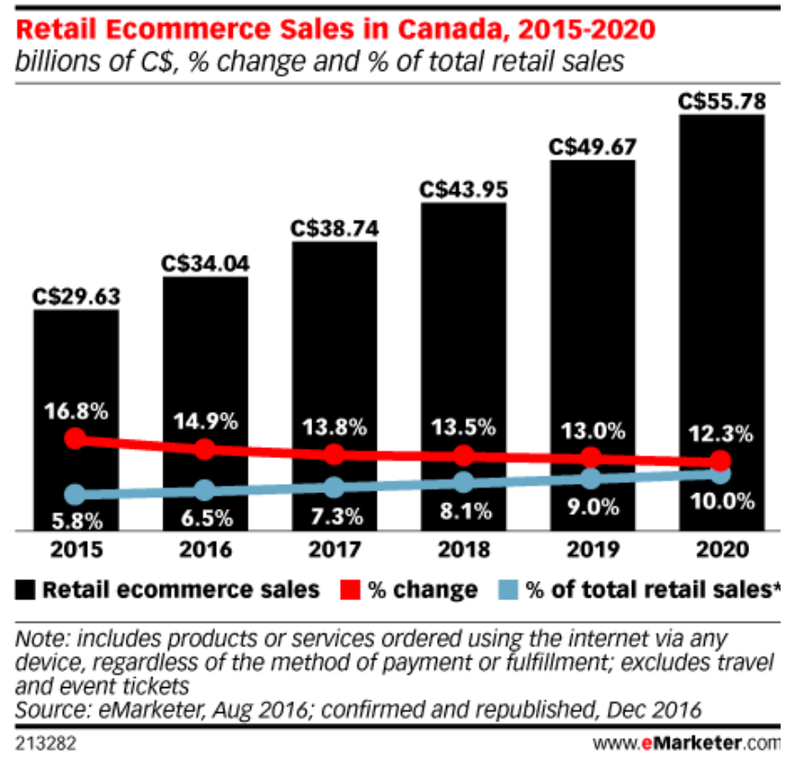 But things are changing in a good way, as eMarketer analyst Paul Briggs explains: "While Canada has lagged the US and UK in eCommerce, it is now catching up as double-digit annual gains drive what growth there is in Canada's retail sector." According to eMarketer’s latest forecast, eCommerce will account for 10% of total retail sales by 2020. Millennials are tech savvy and buying online is just natural for them. BCG research found that younger Canadians are two to four times more likely than older consumers to make at least one online purchase a month. And since the proportion of young Canadians keeps growing, this trend will keep growing. The BCG research also shares another piece of interesting information: One of the main reasons Canadians don’t buy online as much is because domestic retailers don’t offer their full range of products on their website. 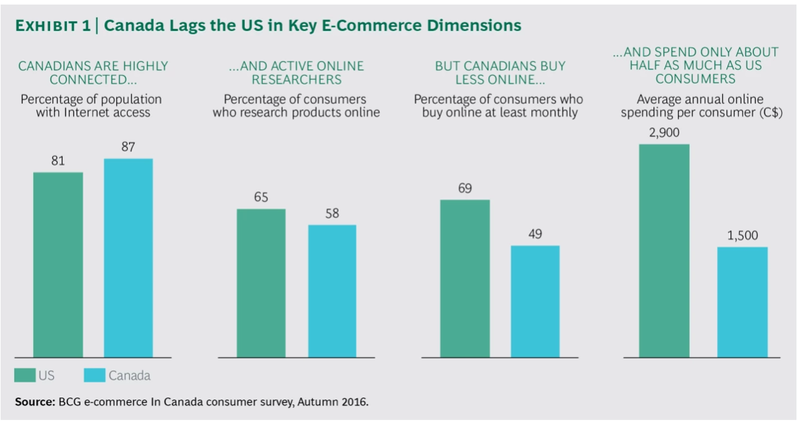 Canadians report that as much as 60% of their online spending is done on US websites, and although shipping from the US to Canada costs more and takes longer, Canadians are okay with that. A lot of famous Canadian brands don’t even have a strong online presence because they haven't taken the time to develop it. The Great White North doesn’t have its own “go to” online shop. In comparison, the USA has Amazon, Japan has Rakuten, China has Alibaba, Germany has Otto.de, and so on. While this may be sad news for Canadians, it’s the perfect opportunity for savvy business minds. With Canadians willing to spend more, in addition to a gap in the domestic market, now is the time to enter the Canadian market by offering an efficient Canadian shipping option. How do you organize your postage without getting your shipment rejected and having to re-ship to Canada? In the past, your only solutions were warehouses and brokers. A logistics company will simply keep and manage your items in a warehouse on Canadian soil and send them when needed. You will not ship to Canada, but rather ship from Canada. But what if you want your inventory back? What if your inventory is needed for another country? 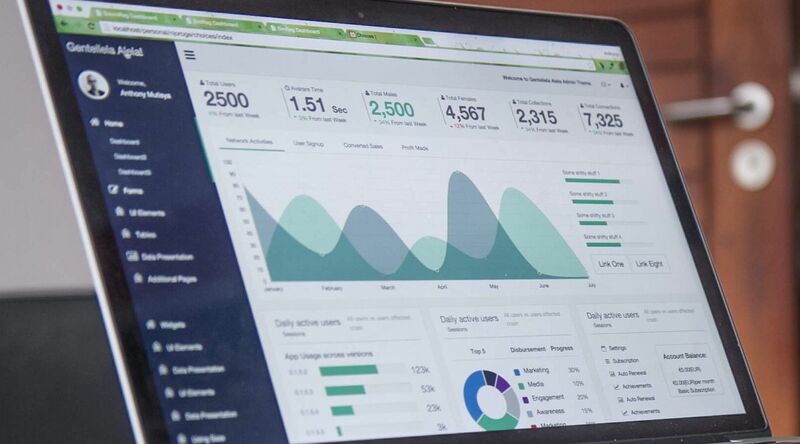 What if your sales aren't high enough? This option may work for very big businesses with large technical teams dedicated to inventory management because without proper analysis you will end up locked in expensive contracts. Warehouses will simply replace the pain of shipping management with the pain of inventory management… on foreign soil. Customs brokers are paid to stay up to date on legislative and regulatory changes, and to get your shipments cleared at the border. But why have another person manage this and pay extra fees when Easyship’s platform automates all of this - for free? Welcome to the new age! Easyship can help you ship to Canada without locking you in to expensive and inflexible contracts. Our platform remains up-to-date on taxes, duties, and regulatory changes so you don’t have to – check out the tax rules and shipping rates for any destination country here. 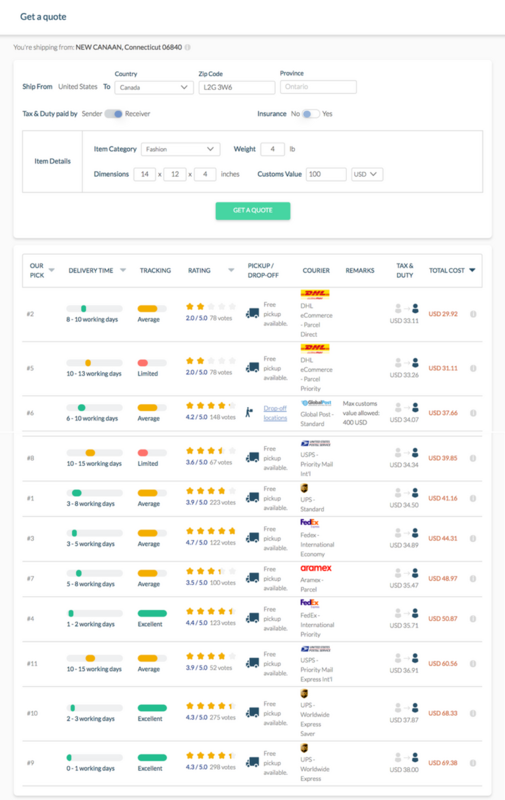 Additionally, our Rate Calculator feature will show you which couriers are the cheapest, fastest, and best value for money for your exact needs. When you sign up for an account, you can get a quote to see all applicable taxes and duties up front - including all those hidden fees such as courier handling and fuel surcharges. Why hire someone to process paperwork when our dashboard automatically generates all necessary shipping documents such as labels, commercial invoices, and export declarations? All you need to do is accurately declare the value of your item, your package dimensions, and weight, as this information will be used to fill out the forms. Generate, print, attach to your package, and you’re ready to ship! Let's say you just got a purchase on your shop and are now faced with the challenge of looking for the cheapest shipping option from US to Canada. Surprise! DHL is the cheapest in this example. This simple check just helped you save a lot of money! And, Canadian customs won’t be an issue, as all you need to do is download and print the specific documents available on Easyship’s platform. Now is the the perfect time to enter the Canadian market. Although we don’t have the power to lower Canadian taxes & duties, Easyship still helps de-mystify shipping to Canada through our platform features. By knowing all the costs upfront you can offer the best rates for your customer, build trust, and lower cart abandonment. 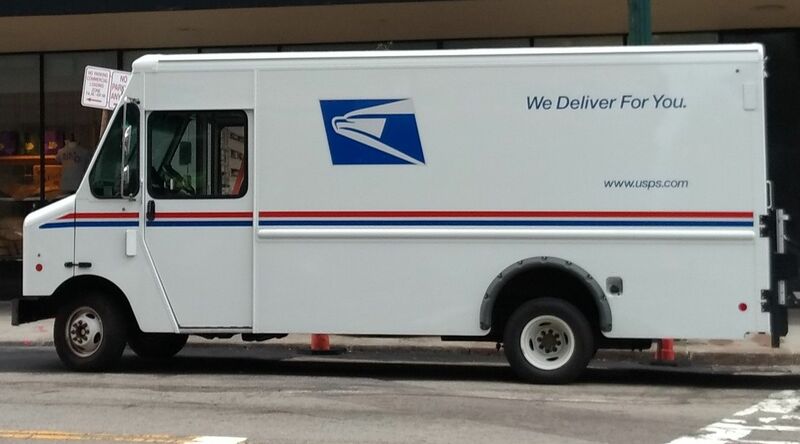 Happy shipping!